Gregory R. Carmichael has done extensive research related to air quality and its environmental impacts. 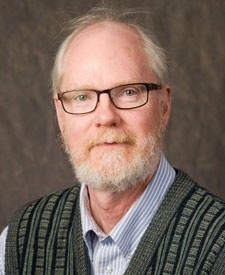 He is currently the Karl Kammermeyer professor of chemical and biochemical engineering at the University of Iowa. He also serves as the co-director of the Center for Global and Regional Environmental Research. His research activities include the development of comprehensive air quality models and their application to regional and international air pollution problems. His studies have led to a greater appreciation and understanding of the importance of long range transport of pollutants within Asia and across the Pacific. His work has also explored the importance of dust on atmospheric chemistry. His work has focused on the role of black carbon (BC) in the atmosphere and its dual role as an air pollutant and climate warming agent. He is a member of the scientific steering committee for the UNEP ABC Asia project and was a co-lead author on a UNEP study aimed at providing a critical assessment of the role of BC as a short lived radiative forcing agent. He also serves as chair of the Scientific Advisory Group for the World Meteorological Organization Global Atmospheric Watch Urban Meteorology and Environment project, which is focused on building capacity worldwide to improve air quality forecasts and related services. Abstract: Cities are at the forefront in addressing many important societal issues. This is true in the case of air pollution, where urban environments are often the most polluted and the health impacts are the greatest. Urban environments are also where the policies to improve air pollution are first implemented. Actions to improve air quality need to be comprehensive and impact all sectors including transportation, industry, power generation and residential. Actions also include long terms city planning, taking into consideration for example building orientation to improve dispersion and green areas to reduce the urban heat island. This talk will discuss current efforts to improve air quality in cities, with an emphasis on how “smart” cities are using technologies such as low cost sensors. A discussion of efforts from international organizations such as the World Meteorological Organization to support sustainable cities will also be presented. 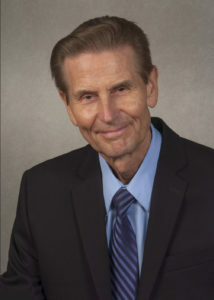 A. Jacob Odgaard, Professor and Dean, School of Architecture and Design, Southwest Jiaotong University, Chengdu, China; formerly Professor of Civil and Environmental Engineering, University of Iowa, Iowa City, U.S., and Research Engineer, IIHR-Hydroscience and Engineering, University of Iowa, Iowa City, He has served as Editor of ASCE Journal of Hydraulic Engineering. He received Hydraulic Structures Medal and Karl Emil Hilgard Hydraulics Prize from ASCE. He has earned the designation of Diplomate, Water Resources Engineer (D.WRE) by the American Academy of Water Resources Engineers (AAWRE) Board of Trustees. Abstract: Urbanization, climate change, and outdated infrastructure are driving innovations in storm water and pollution management in cities. Low impact and green infrastructure technologies are being developed to manage excess storm water runoff and water quality. Many are being developed for and used in the so-called sponge cities. Design guidelines vary as do performance. Critical for a smart management approach is understanding the urban water balance and the parameters in the hydrologic cycle that affect this balance. We’ll discuss alternatives for managing the man-made change in the ratio between runoff and infiltration, methods for capitalizing on nature’s own ability to self-regulate and purify, and strategies for monitoring performance. We’ll also pitch the need for education in the new technologies and suggest ways to effectively share experience worldwide. 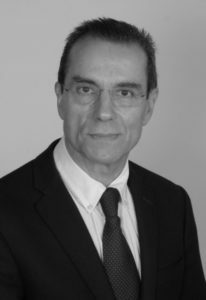 Paulo Pereira is a Professor and a Director of The Centre for Territory, Environment and Construction (CTAC), University of Minho, Portugal and a coordinator of the Interdisciplinary platform UM-Cities. The purpose of CTAC is to produce knowledge to support its vision of “Sustainable and Resilient Cities and Territories”, developing innovative materials and technologies and systems in the fields of built environment, systems and infrastructures for transport, water and wastewater and for territory development, contributing to climate-change-resilient buildings and infrastructures. He is a former dean of the School of Engineering of the University of Minho and a founder and former President of the International Society for Maintenance And Rehabilitation of Transport Infrastructures (iSMARTi). Abstract: Today, as is true of our modern history, cities seem to be the best place to live, attracting more and more people and activities. However, not only does this movement represents a threat, but also challenges and opportunities for everyone, e.g., people, companies, organizations and governments. With the objective of providing urban quality of life, a balance between cities and territories and the efficiency of all assets, building and natural environments, and all systems, in particular physical and digital, must be addressed and achieved. I will will discuss the present context, the main challenges, as well concepts of smart cities, such as: smart, sustainable, resilient, safe and inclusive; with future cities relying on mobility and networks, both physical and digital, where physical networks and systems, like Mobility and Transport Systems will play a key role for the sustainability of cities. Therefore, the main focus of this presentation will be on the mobility and evolution of transport systems for a smart, sustainable, resilient and inclusive mobility, from roads and streets redesigning, to integrated smart mobility management, with a focus on the efficiency of all transport networks for everyone, today and tomorrow, faced with the threat of climate change and the demands of citizens.